According to new research, mismatched VC partnerships — where a prestigious VC firm partners with another VC firm regarded as having lower status — can be vulnerable to inefficiencies and ineffectiveness. In many ways, venture capital firms are the “parents” of the business world. They provide money and guidance to their offspring (startups), which they hope will be tomorrow’s success stories. So perhaps this should come as no surprise: New research led by Drexel LeBow’s Dali Ma suggests that just like people looking to start a family, VCs should choose their partner VC firms carefully. According to this research, mismatched VC partnerships — where a prestigious VC firm partners with another VC firm regarded as having lower status — can be vulnerable to inefficiencies and ineffectiveness. Specifically, when the prestigious firm has a much smaller financial stake than the lesser-known firm, an ambiguous ownership order can result; the prestigious VC firm may be offering directions without consulting the lesser-known firm, and the latter may also be providing direct guidance based on its legitimate ownership advantage. 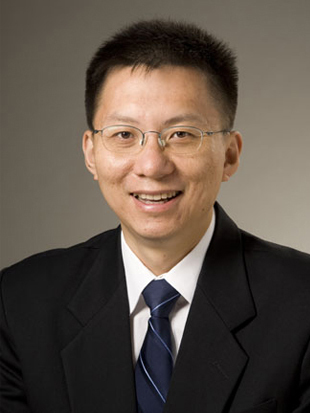 Dali Ma, Ph.D., assistant professor of management at Drexel LeBow, wrote “Power Source Mismatch and the Effectiveness of Interorganizational Relations: The Case of Venture Capital Syndication,” published in the Academy of Management Journal. His co-authors are Mooweon Rhee and Daegyu Yang. A paper co-authored by two assistant professors within Drexel LeBow’s Management Department, H. Dennis Park, PhD, and Daniel Tzabbar, PhD, explores how the mutual dependence between venture capitalists (VCs) and new venture CEOs affects the innovation novelty of new ventures at different stages of the venture.